While on a long train ride, you look outside and there's a giant reptile. He looks at you angrily and smashes the train into smithereens. Good thing you wake up and it's just a dream. You probably had a nightmare because you didn't let the old lady take your seat. 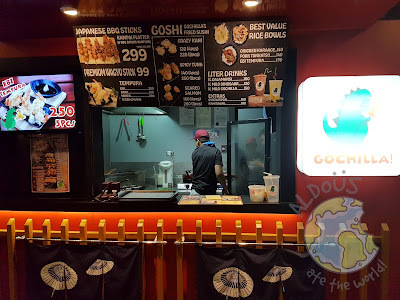 Speaking of giant reptiles, enter Gochilla - a quaint Japanese food stall in the middle of the Station. If there's one thing better than 1L Milo Dinosaur, it's Milo Dinosaur with Vanilla Ice Cream. 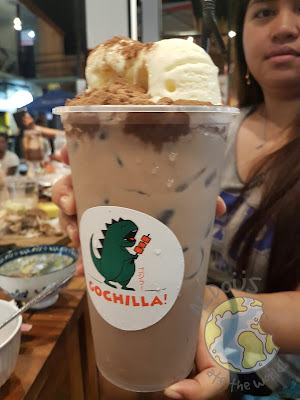 We had that awesome drink and it's called Milo Gochilla. This drink is heaven for me being a milo and vanilla ice cream lover. I'm so happy you can have it in 1L. Wow, this has got to be my favorite group meal of the food park. 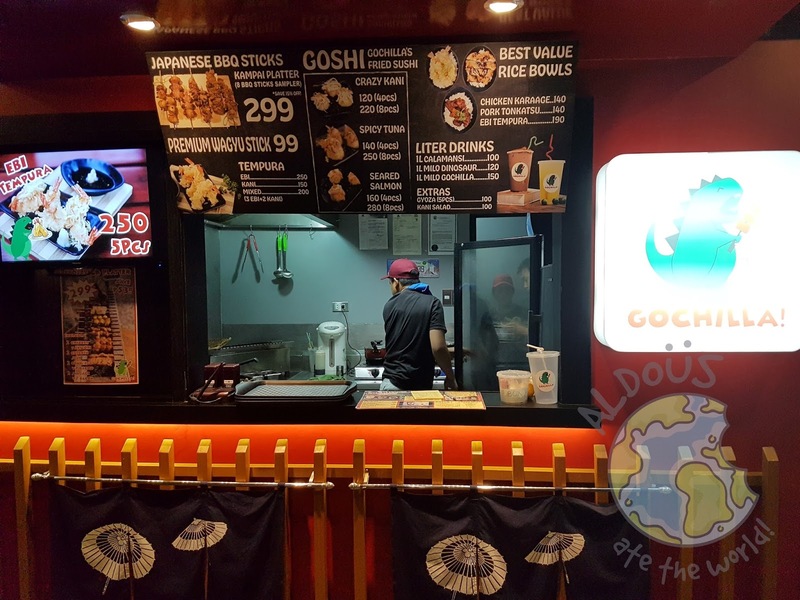 You have 8 Japanese BBQ Sticks at such an affordable price. 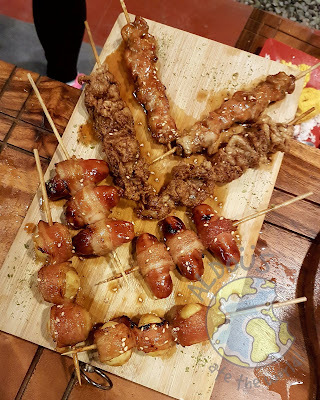 If memory serves me right, we had quail egg wrapped in bacon, hotdog wrapped in bacon, chicken breast and chicken skin. I loved the sauce they used here too. My favorite has to be the chicken skin because it's crunchy and tasty but all of them are good.